We have visitors from all over the world looking for machinery and services for the dry ice industry. Please consider listing your products and services here. 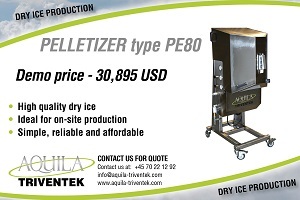 This informative site is supported by the following manufacturers and sellers of dry ice supplies and equipment. 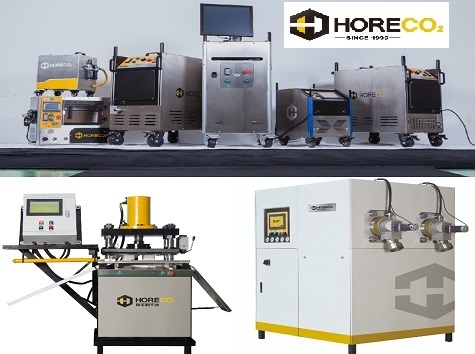 Horeco2 Dry Ice Blasting Equipment & Services Co.
HORECO2 Dry Ice Blasting Equipment & Service Co. Ltd. Including our Live Line and Utility service switch gear cleaning and cleaning power generation equipment. a fully automated way to produce your own dry ice slices. Optional conveyors and automated packages are available. in our Polar Insulated Container product line. 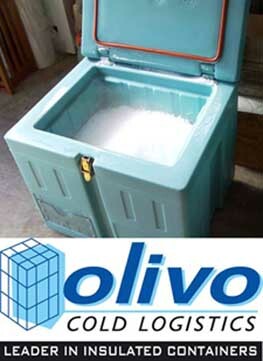 OLIVO has manufactured insulated containers for more than 30 years and has a current production capacity of over 50 000 containers a year. 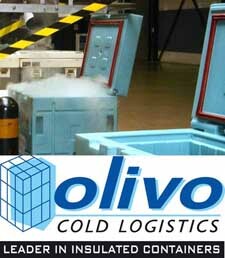 The Olivo range is of two formats, ROLL (cabinets with front opening) and BAC (chests with top opening) and is designed for the transport of products under temperature control. 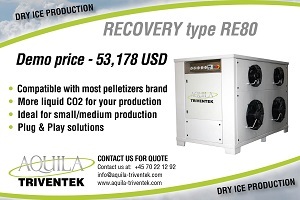 Different refrigeration systems are offered, such as eutectic, cryogenic and thermo-chemical systems, allowing the required temperature to be maintained, whether it is chilled or frozen, for a period of 24 hours and more. 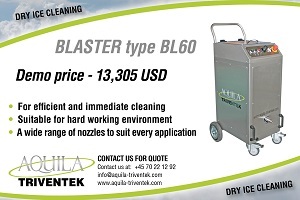 This site is supported by the above listed manufacturers and sellers of dry ice supplies and equipment. Thank you for supporting them.